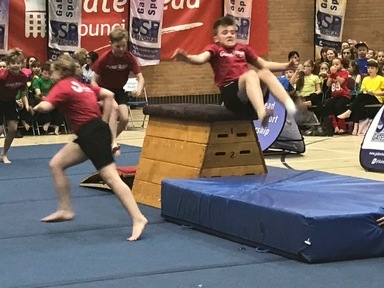 St Joseph’s Catholic Primary School has a differentiated scheme for Physical Education, which covers Dance, Gymnastics, Swimming, Athletics and Outdoor Activities. We have a specialised PE teacher who comes every Thursday and Friday afternoon to take PE lessons for KS2. His expertise helps our own teachers to develop their knowledge of PE coaching. For younger children, Little Kickers football coaching takes place every Tuesday afternoon for Reception Children. We also have sports professionals come into the school to give coaching to the children in such activities as Tennis and Judo. Children in Year 3, 4 & 5 have swimming lessons on Monday afternoons for one term every school year. Every July, the school holds a Sports Day where the pupils compete in fun events representing their school house. Then, as always, the emphasis is on fun and sporting behaviour. We aim for pupils to develop a positive attitude towards their fellow players, by encouraging fair competition, acceptance of failure as well as success and an appreciation of their environment. We are often commended by tournament organisers for our team’s sporting behaviour. During their time at St Joseph’s Catholic School children will participate in most of the following:- Basketball, Football, Cricket, Tennis, Rounders, Tag Rugby, Skipping, Hockey, Tag Rugby and Outdoor Adventurous Activities. We have several afterschool sports clubs. On Monday evenings, there is a ballet class from 3:30 until 4:30 pm throughout the year. On Thursdays and Fridays throughout the year, Grass Roots, holds various sports clubs for pupils. In addition to these courses there are shorter courses of usually 4 – 6 weeks run by members of staff and parents. These include Netball, Football, Hula-hoop and Dance. The school is represented at many tournaments and sporting events. 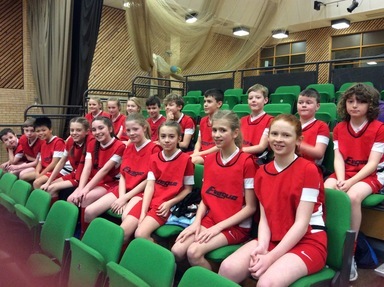 These include Football Tournaments; Multi-skills events; Gateshead Athletics Festival; Cross Country Competitions; Gateshead Swimming Galas; Gateshead Dance Festival; Strike and Field Events and Hockey Tournaments. The school has a large Hall with a wooden floor used for PE; a soccer pitch, marked in summer for athletics and a hard play area containing one short basketball court. The school uses Blaydon Leisure Centre for swimming lessons. There are very close links with St Thomas More School who organise sporting events for the cluster schools. Pupils in St Thomas More School in Years 12 & 13 who are studying Physical Education also help with PE activities with our children.